Fires can displace families and disrupt businesses, leaving behind extensive damage from smoke, flames and soot. We provide services for you to rise up from the ashes and reclaim your lively hood. We are here to help so give us a call. Fire is a formidable foe that can absolutely decimate most man made structures. If your home experiences a fire, the damage may be significant. 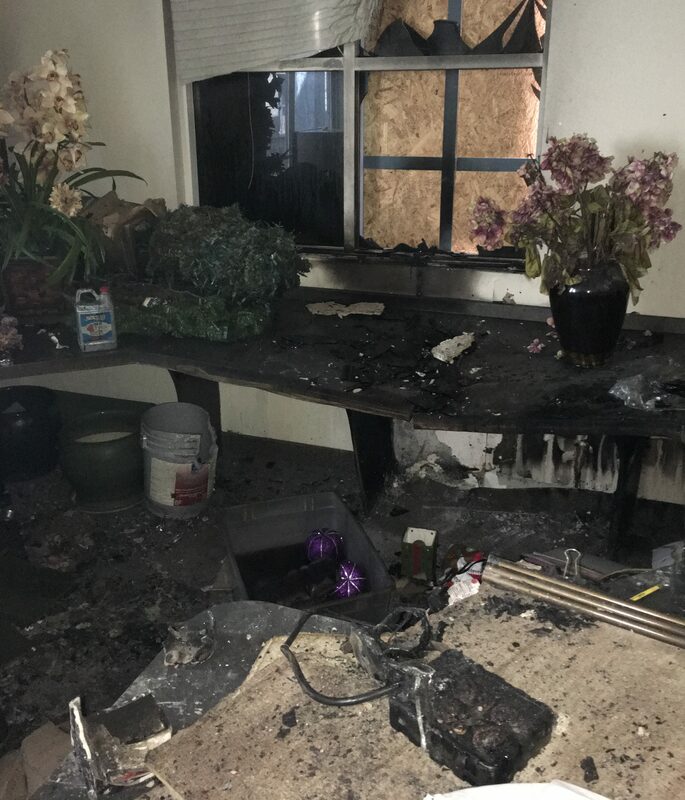 A small kitchen blaze can still cost thousands in repairs after building materials and appliances are lost. Heat can melt siding and consume personal belongings. The resulting smoke penetrates and discolors surfaces, works its way into enclosed areas and leaves behind an odor that can last for years if untreated. A large scale incident can completely devour entire floors or spread to neighboring structures. Even rooms that are untouched by flame are still affected by falling ash and the odor of smoke. Without professional repair and a thorough cleaning, your home may be rendered unlivable. The ravaging effect of fire damage often requires complete restoration services from deodorizing and cleaning, to the demolition and rebuilding of the entire structure. Whether you need one contained space repaired or an entire structure demolished and rebuilt, Milro Services is available to assess the damages and help you find the best approach to recovery. We understand the challenges you face after surviving a house fire. Our experienced technicians can provide sound advice and perform a wide range of services. We do more than tear down and rebuild. We also offer thorough cleaning and deodorizing so salvageable portions of your home can be recovered. No job is too big or too small for us! 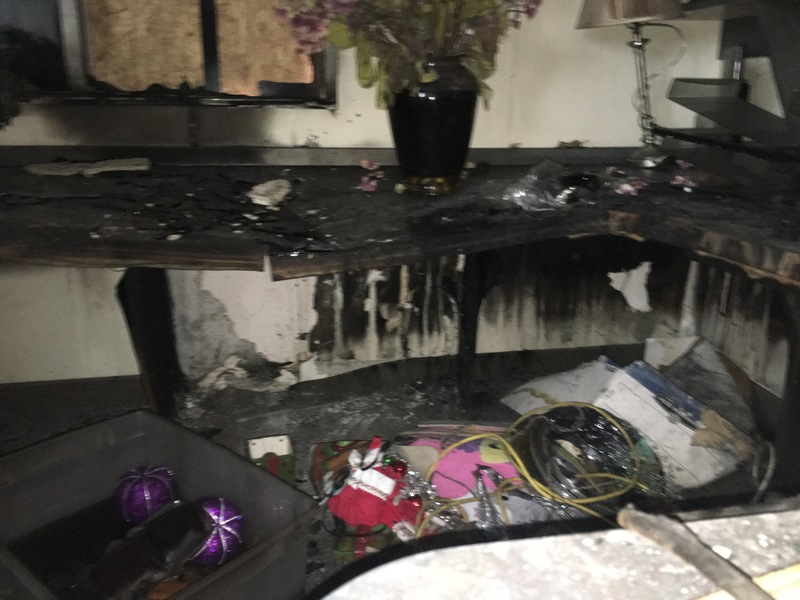 After our restoration technicians remove smoke damage, soot and odor from your home business, they will work tireless to return the space to its pre-fire condition. 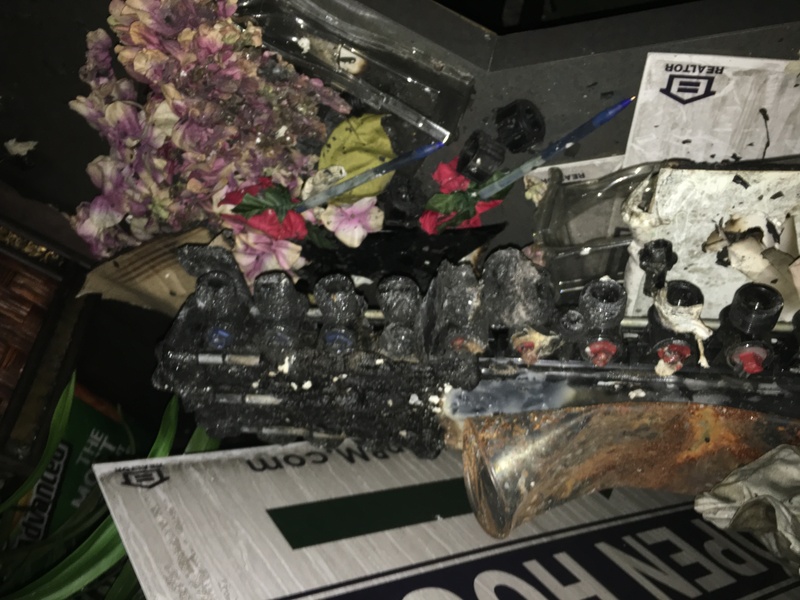 Contact us today 703-323-3300 or email us directly to schedule your onsite consultation to find out how we can solve your fire damage problems. We cover all of Las Vegas and neighboring cities. One of our fully qualified and certified technicians will visit your property within 1 hour of your call. We asses your damages to determine how we can help. The visual inspection of fire or water damage will be completed by our trained professionals. We provide free estimates and give any feedback necessary. 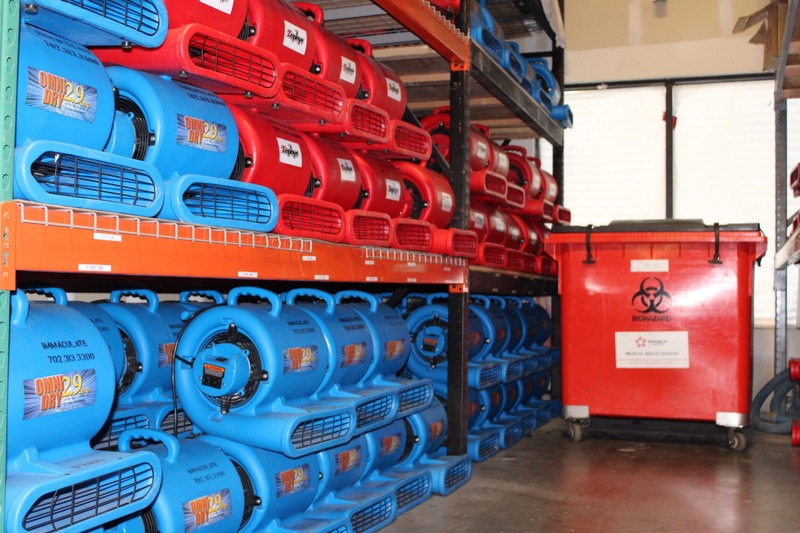 After the clean-up our teams finish the drying process using our specialized equipment to ensure your walls, floors and ceiling are properly dried and safe. Our work is never done until you are fully satisfied. We take pride in our work and will take the extra steps to ensure your home is back to 100% before we are finished. After storms, floods or burst pipes, water can sometimes invade your home. Water left standing is never a good experience. Whether it is rain water from, a leak from outside or a burst pipe somewhere in your home, Immaculate should be your first call. 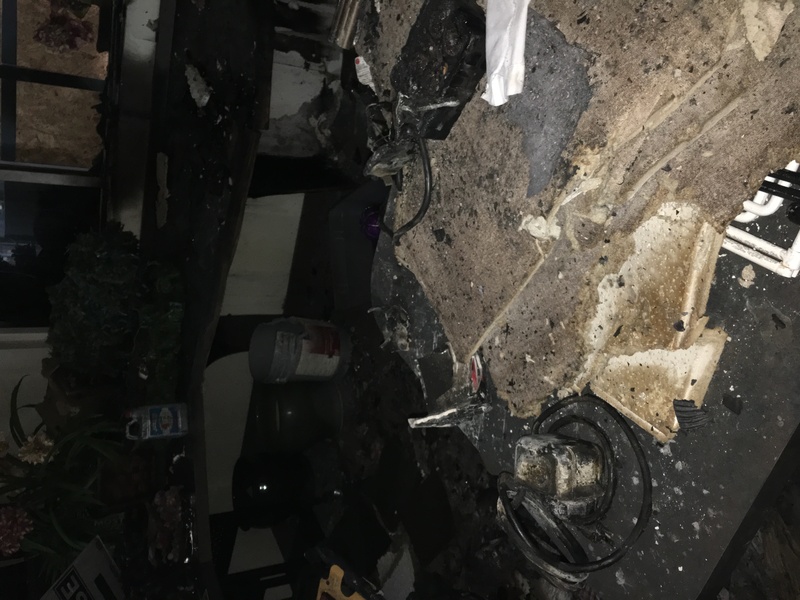 Fires can displace families and disrupt businesses, leaving behind extensive damage from smoke, flames and soot. Fire compromises structural integrity of a building. Contact Immaculate for a free estimate for your fire restoration needs. Mold infestation of any kind is a danger that cannot be ignored. Immaculate Restoration puts the health of your family first by thoroughly removing the mold avoiding further growth and preventing possible health complications from mold exposure. width: 350px !important;Immaculate Restoration has a professional services team dedicated to cleaning up after homicides, murders, suicide, death and accident situations. 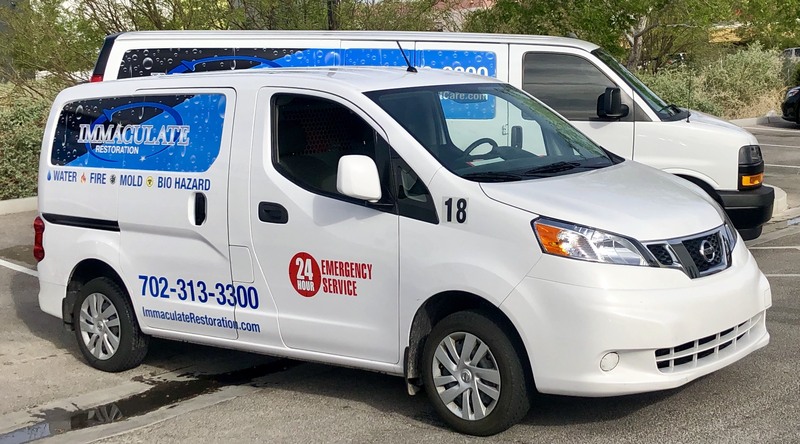 Our certified teams will clean up any bio hazard situation affecting a home or business. Our number one priority is to ensure that every customer is 100% satisfied with the services that we provide. We will arrive at your home and happily provide free on site inspections and up front estimates 24 hours a day, seven days a week. We can be reached at 702-313-3300. We here at Immaculate Restoration are here to help you so give us a call so we can make your problems go away.